MILAN, December 6. /TASS/. 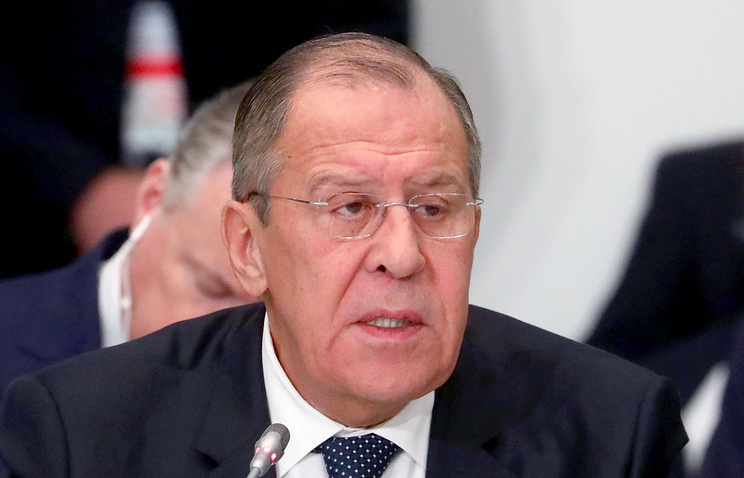 Russia finds as unacceptable any discrimination against mass media, Russian Foreign Minister Sergey Lavrov said at the opening of the 25th meeting of the OSCE foreign ministers. "We are concerned over attempts by some countries to quash dissent in the media space on the pretext of struggle against propaganda. It looks like we are moving back to censorship: journalists are being discriminated against in France, the United States, Britain, Ukraine and the Baltic countries. Attempts at creating some ‘white’ and ‘black’ lists of media resources are unacceptable," Lavrov said. He pointed out that the OSCE Representative on Freedom of the Media was obliged to react to such trends. "We have presented for consideration at our today’s meeting draft resolutions on the protection of language minorities and the journalists’ free access and media resources to information," Lavrov said. Earlier, after Lavrov’s talks with his French counterpart Jean-Yves Le Drian the organizers denied access to the news conference that followed to several Russian mass media that had applied for accreditation in advance. They were let in only after Lavrov’s personal intervention.